The Ministry of Tourism, Arts and Culture has been realigned through Executive Instrument (E.I. 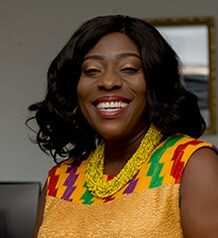 2013) to provide a firm, stable policy environment for effective mainstreaming of Ghanaian culture Into all aspects of national life and to ensure the strong emergence of a vibrant creative economy to improve and advance the tourism industry. The vision of the Ministry is to develop sustainable tourism pivoted on Ghanaian culture and creative arts as a key to accelerated national development. The Ministry exists to create a conducive environment for sustainable growth and development of the sector to enable it to contribute enormously to GDP through effective and efficient use of appropriate policies, plans, programs and projects. It is also to develop and sustain public-private-partnership with the Diaspora for resource mobilization and investment. Formulation of policy, planning and programming for the development and promotion of domestic, regional and international Tourism, Arts and Culture. Promulgation of legislation and regulations on Tourism, Arts and Culture development, including investment policies and incentives. Conducting of research into regional and global trends in Tourism, Arts and Culture. Development of the human resource within the private and public sectors to effectively promote Tourism, Arts and Culture. Co-ordination and collaboration with other Government Agencies, Development Partners, the Private Sector and Non-Governmental Organizations, on matters concerning Tourism, Arts and Culture. Development of policies and programs to link up with Africans, including Ghanaians in the Diaspora, for investment in, and promotion of Tourism, Arts and Culture. Monitoring and Evaluation of the sector’s performance. Create awareness on the importance of tourism, culture and the arts. Develop capacity for the tourism, arts and culture industry. Develop policies to support private sector participation in tourism, arts and culture. Increase contribution to the global cultural economy. Welcome and thank you for taking the time to visit the MoTAC website. Here, you can find the necessary information relating to tourism, arts, and culture that you need and if you don’t find what you’re looking for, feel free to contact us on the numbers and email address listed below and we will assist you as much as we can because we are a team and I believe that together, we can achieve our vision to develop sustainable tourism pivoted on Ghanaian culture and creative arts as a key to accelerated national development. Thank you once again and Akwaaba!